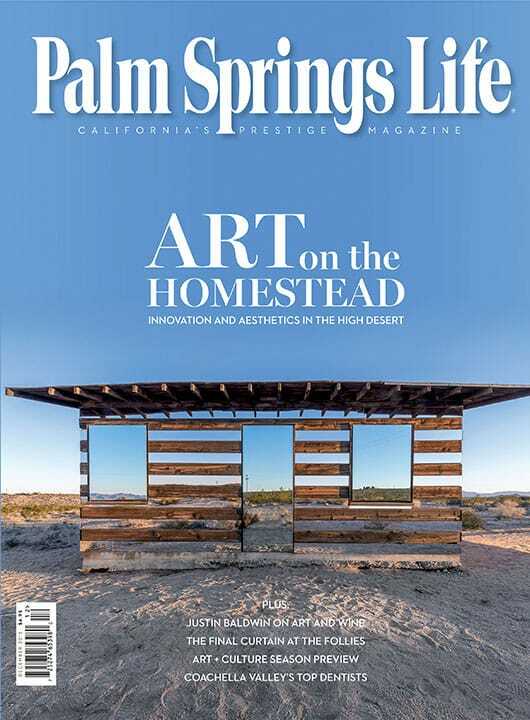 ON THE COVER – Lucid Stead, by Phillip K. Smith III, in Joshua Tree. Photography by Steve King. On the outskirts of Palm Springs, boasting one of the best mountain views in America, Snow Creek draws artists and eccentrics who must continually protect the village. By Matthew Link. Photography courtesy The Fabulous Palm Springs Follies. The news hit like a roundhouse to the gut: The Fabulous Palm Springs Follies will end its inspired run after 23 seasons. 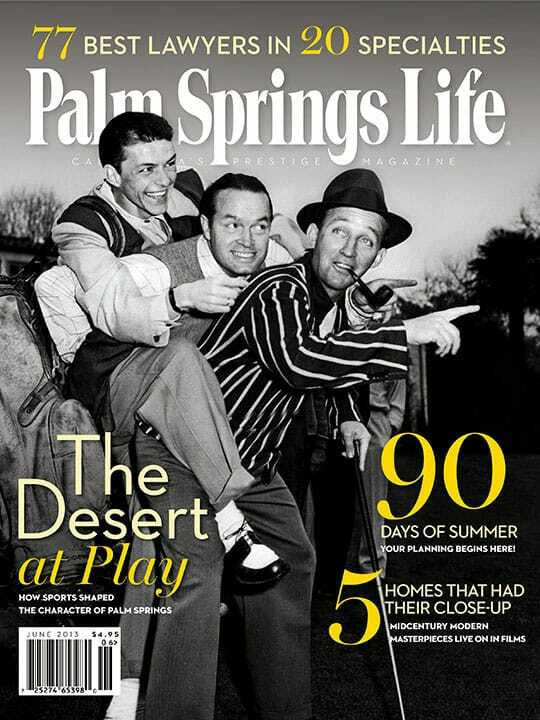 Early landscape painters propelled the Palm Springs artists’ colony and transformed the area into a destination for the creative set. 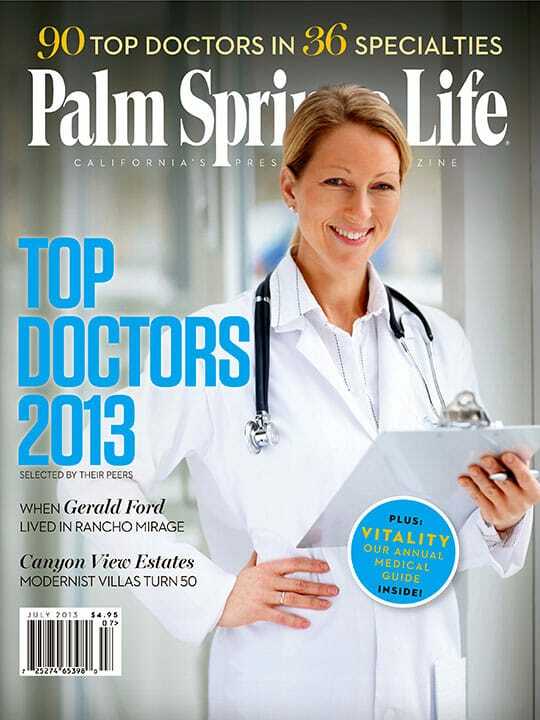 Here are the 64 best dentists and specialists in the Coachella Valley, as selected by their peers. A season of art celebrates past and present. Present your party host with sweet sips this holiday season. Surprise your mate with one of these “it” gifts of the season. Attorney Mary Lehman gears up for the next big fight. American fashion designer David Meister reveals his sartorial secrets. Workshop Kitchen + Bar turns on the industrial chic. Randy Willard creates custom ensembles that reflect his clients’ personalities. Entertain family and friends at this spacious Rancho Mirage estate. Fed actions shake out speculators, while market remains vital. Baby boomers face a new set of rules for retirement. In the age of change, be true to you. 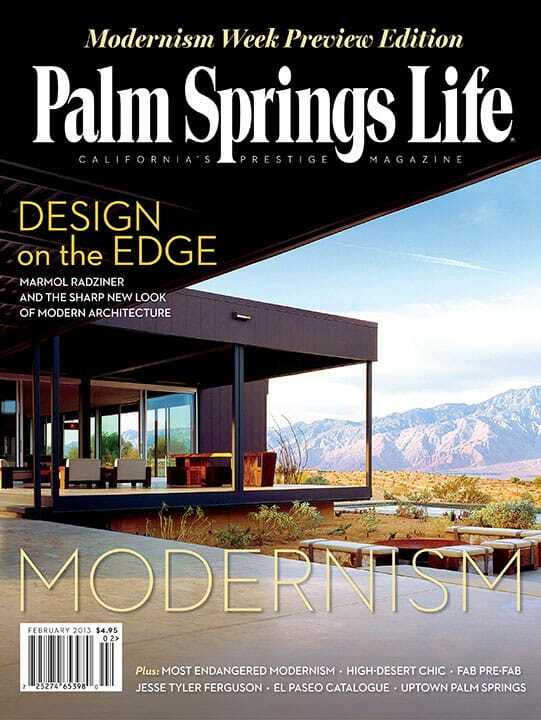 Artists converge on High Desert Test Sites; Palm Springs Art Museum celebrates 75 years; winemaker Justin Baldwin reveals his passion for collecting; and a comprehensive calendar of gallery and museum exhibitions, theater and music performances, book readings, and lectures on architecture and design.